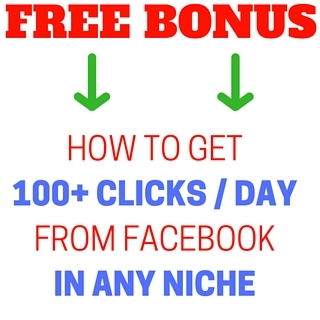 Hey guys, today I have recorded a brand new strategy using which you can make $50-$100 a day. My partner Stephen Gilbert and I are continuing with our free training series, and we know you’re going to like this one. It will be especially good if you haven’t got a stable online income yet. It doesn’t require any investment, and pretty much anyone can do it to make $50-$100 a day, depending on the amount of time you can dedicate to it. Once you have got this stable income, you can then afford to invest into your business expansion by buying traffic, buying tools etc. I love hearing from you guys, so please leave me a comment and let me know what you think about the video, or if you have any questions at all! Thanks Greg for sharing.It is very doable! Hi Suren, really happy you liked it! Thank you for sharing this valuable information. Will save a lot of time. It’s already on mobile phones so it is great that we can use on desktops and tablets also. Hi Amanda, you’re very welcome, thanks for your comment. This will be a major help to me. Hi Rod, you’re very welcome!